DEW-SCENTED - Relentless Thrash Metal from Germany - DEW-SCENTED » Introducing three special guest-musician appearances on “Icarus”; Confirmed for Summer Breeze! DEW-SCENTED - Relentless Thrash Metal from Germany - DEW-SCENTED » Introducing three special guest-musician appearances on “Icarus”; Confirmed for Summer Breeze! Home > NEWS	> Introducing three special guest-musician appearances on “Icarus”; Confirmed for Summer Breeze! Introducing three special guest-musician appearances on “Icarus”; Confirmed for Summer Breeze! Sacrifice are one of the best and most underrated Thrash Metal bands ever and a big influence on Leif for his vocal-work with DEW-SCENTED. From their debut masterpiece “Torment In Fire” (1985) to their amazing comeback album “The Ones I Condemn” (2009), these guys have always delivered trendless, classy Thrash Metal with amazing riffing and tasty songwriting. DEW-SCENTED had covered Sacrifice’s “Apocalypse Inside” song on 1999’s “Ill-Natured album and stayed in casual contact with Rob and Sacrifice ever since. It’s awesome to have Rob now do guest vocals for “Gleaming Like Silver” in a duet with Leif! 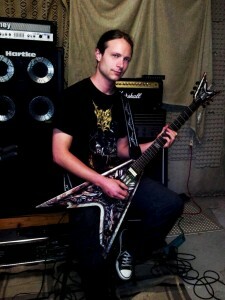 Dennis Schneider is an incredibly talented guitarist that has jammed with DEW-SCENTED in the rehearsal room before. 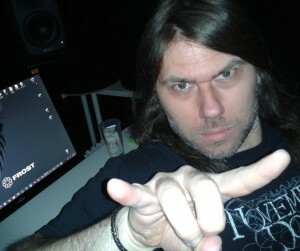 In the production period for “Icarus” the idea came up to have him be part of the actual album as well by adding some skillful lead guitar parts. 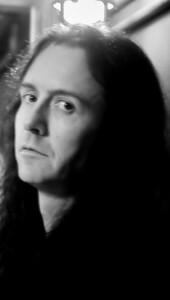 Dennis appears with some furious shred on the songs “The Fall Of Man” and “Perpetuated”. Dan has been a longterm buddy and true inspiration for DEW-SCENTED and it’s almost like a closing circle to have him involved with “Icarus”. Dan and Leif first met him on the debut Edge Of Sanity tour with Assorted Heap in 1992 and then DEW-SCENTED toured with Edge Of Sanity in 1996, where funnily enough Marvin also already appeared as the band’s lead guitarist. Consequently, Dan went on to help DEW-SCENTED by mixing 1998’s “Innoscent” album and Leif has ever since always wanted to do vocal or production work with Dan on some level again. Having Dan do his trademark deep grunts as duet vocals with Leif on the song “Reawakening” is a big honour and personal satisfaction for us. In further good news, DEW-SCENTED can now announce to be appearing at this year’s edition of Summer Breeze Open Air in Dinkelsbühl, Germany, on Friday, August 17th, 2012. It’s a great pleasure for DEW-SCENTED to return to one of Germany’s leading festivals! After 2001, 2003 and 2010, it will be our 4th time there and other bands appearing this year include Amon Amarth, Asphyx, Behemoth, Immortal, Iced Earth, Morgoth, Napalm Death, Six Feet Under, Lacuna Coil and many others. Announce new booking agency! “Icarus” pre-order links available! Song on Rock Hard Compilation! DEW-SCENTED launch first song off “Icarus”; Unveil album tracklisting!